Let face it moving is a hassle. It’s stressful on everyone and especially so when you have a family or moving an office in Chicago, IL. That’s why we look for everything we can to make the move less troublesome. So what’s the best advice out there? There’s basically just one. Plan, plan, plan. At the end of the day, there is nothing worse than scrambling around because you didn’t plan things properly. We all know things change. 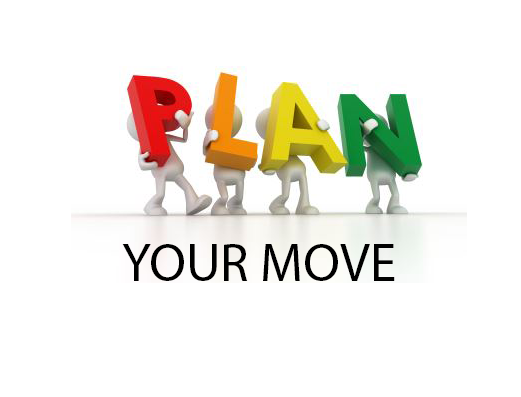 However, it’s always smart to plan your move early so that you can account for change as they come. If you have a core plan already, it’s easier to shift things around rather than making a new plan on the spot. It also gives you more time to think and notice the small details you might have forgotten otherwise. Have Important Moving Documents Close. It can be a box or a binder. It’s just something for you to keep everything that is related to the move. You’ll have phone numbers of moving companies, lists of things that need to be completed before the move or a simple moving checklist, notes for the real estate agent, and more. By keeping the paperwork in one place, you can easily access what you need. Packing is undoubtedly the most time consuming part of moving. If you need help packing, The Professionals Moving Specialists offers packing and unpacking services. If you prefer to do it by yourself, make it fun! Throw on some music and get your friends and family to help. You’ll be done before you know it. It’s easier when you know where everything goes. That way, when you move, boxes with all the pots and pans will go straight to the kitchen and he ones with pillows will go to the bedroom. It’ll save you hours of shifted heavy boxes and walking through unpacked clutter to put things where they belong. People like lists because it helps they stay organized. Make a list before you move and check it off as you complete each task. It’s always the smallest things that get forgotten. Remember to notify people about your change in address, cancel memberships, and stop the electricity, water and heat in your old home and start it in your new home.